As we approach each season it is important to train associates on flu prevention steps and continue refreshing the team on these topics throughout the season. While the number of flu cases is highest in the fall and winter, the flu can infect people at any time during the year. Housekeeping, Public Area, and Stewarding team members especially play a critical role in hotels, casinos and resorts in disease control and prevention, which spreads often by customer and employee contact. These associates can take everyday preventive actions to stop the spread of germs through various cleaning methods, frequency and procedures for high touch points. Here are a few of the key areas for prevention. Although many of your chemicals are effective to disinfect surfaces, they may not be as safe to apply on all areas. It is important discuss with your chemical provider to better understand application methods for these delicate surfaces. Be sure your associates are aware of high touch points, the areas touched often, which are included in their assigned areas. Examples include: handles and door locks, light switches, countertops, paper towel dispensers, telephone handset and buttons, elevator control buttons and handrails, casino/ATM machines, drape wand, in-room electronics and more. Discuss frequency, which varies for each surface. 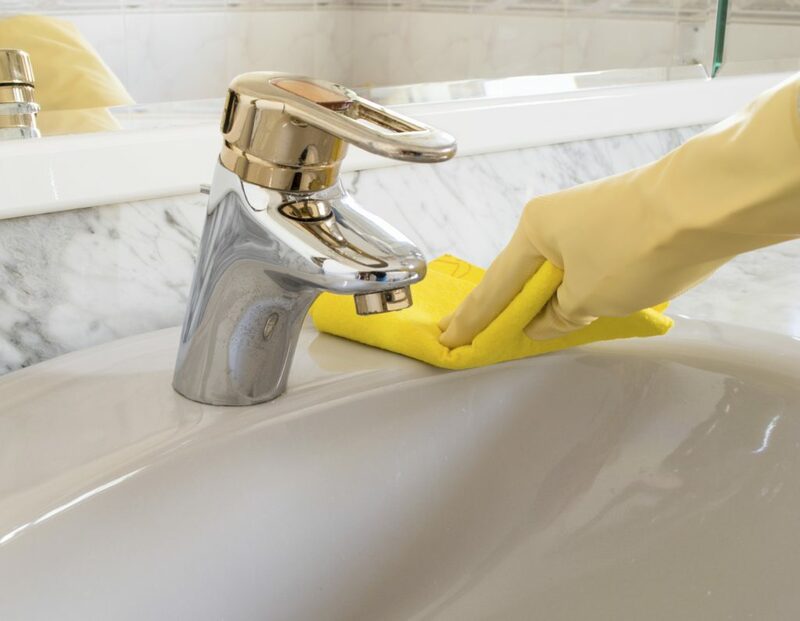 For example, a guest room sink knob may be cleaned once during daily service whereas a public area restroom sink knob will be cleaned multiple times during each shift. Keep front and back of the house areas well-stocked with an adequate supply of tissues, soap, paper towels and alcohol-based hand rubs. Keeping hands clean is one of the most important steps we can take to avoid getting sick and spreading germs to others. As associates get busy during their day, they may forget the basics, so make sure they are reminded how to maintain proper hygiene, even in places where soap and clean water may not be available. Although we are well into the season, it is never too late to remind associates the importance of specific cleaning methods and frequency of each task in an effort to keep ourselves and one another healthy.